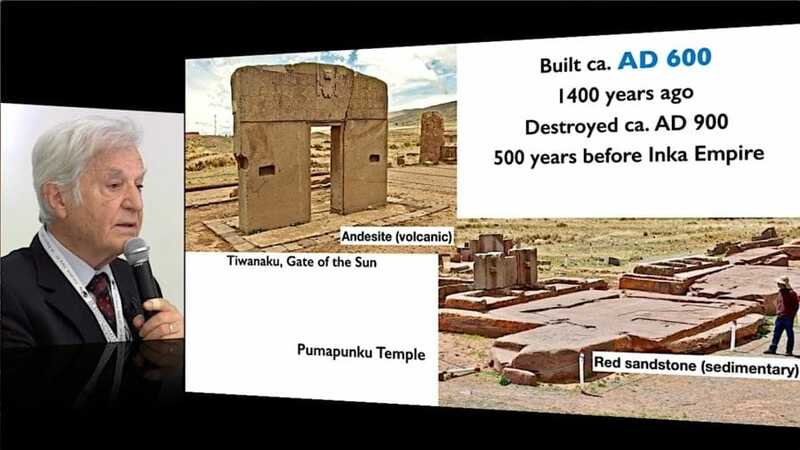 At the 10th Geopolymer Camp in 2018, Prof. Joseph Davidovits presented during his annual keynote a brief summary of his last studies on the Tiwanaku (Tiahuanaco) / Pumapunku Megaliths. In November 2017, an international team (a geologist from Universidad San Pablo at Arequipa, Peru and a member of the Geopolymer Institute) went on the site to carry on a survey on these stones. After different analysis on thin sections and under an electronic microscope, Joseph Davidovits claims that his team has found « organic matter in volcanic rock« , which is, by nature, impossible. This points to man-made stone and C-14 dating of the geopolymer stone as well as of the monument (on going research). 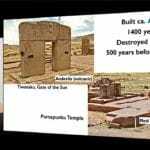 Go to Tiahuanaco-Pumapunku read the transcript or watch the video of his conférence (English or Spanish dubbed) or also on Youtube. What is this technology mastered by the Tiwanakans? 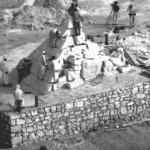 « Artificial stones were formed as a cement. 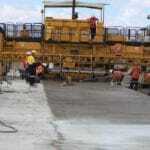 But, it is not a modern cement, it is a natural geological cement obtained by geosynthesis » says Ralph Davidovits, researcher at the Geopolymer Institute. For this, they took naturally friable and eroded rock like red sandstone from the nearby mountain, on the one hand, and on the other hand, unconsolidated volcanic tuff from the nearby Cerro Kapia volcano in Peru to form andesite. They created cement either from clay (the same red clay that Tiwuanakans used for pottery) and sodium carbonate salts from Laguna Cachi in the Altiplano Desert to the south, to form red sandstone. For gray andesite, they invented an organo-mineral binder based on natural organic acids extracted from local plants and other natural reagents. This cement was then poured into molds and hardened for a few months. Without a thorough knowledge of geopolymer chemistry, which studies the formation of these rocks by geosynthesis, it is difficult to recognize the artificial nature of the stones. « This chemistry is not a difficult science to master. It is an extension of the knowledge of Tiwanakans in ceramics, mineral binders, pigments and above all an excellent knowledge of their environment, » says Joseph Davidovits. Without the selection of good raw materials, these extraordinary monuments could not have been created 1400 years ago. 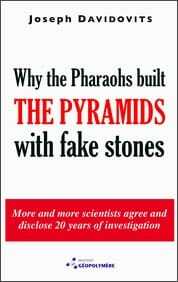 Finally, this scientific discovery confirms local legends that say, « The stones were made with plant extracts able to soften the stone.” This explanation has always been rejected by archaeologists because it made no sense. The evidence provided by the team of scientists from France and Peru shows that the oral tradition was right: they made soft stones that could harden! 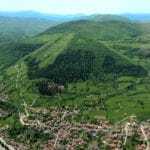 The hypothesis of the lost ancient super civilization or aliens intervention is false. Tiwanakuans were intelligent human beings. They knew their environment perfectly and knew how to exploit the resources brought by nature. on the geopolymer sandstone megalithic slabs: J. Davidovits, L. Huaman, R. Davidovits, « Ancient geopolymer in South-American monument. SEM and petrographic evidence « , Material Letters 235 (2019) 120-124. DOI: doi.org/10.1016/j.matlet.2018.10.033. 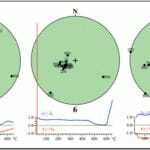 on the geopolymer andesite volcanic “H” structures: J. Davidovits, L. Huaman, R. Davidovits, “Ancient organo-mineral geopolymer in South-American Monuments: organic matter in andesite stone. SEM and petrographic evidence”, Ceramics International 45 (2019) 7385-7389, DOI: doi.org/10.1016/j.ceramint.2019.01.024.